Summer has officially come to an end here in Alberta. The days are cooler and daylight is much shorter. It’s always great to be outdoors with your dog. However, in the fall there are a few things to be aware of to keep your pets safe. During colder times of the year, typically spring and fall, mushrooms can start to appear. Most mushrooms are not toxic. However a small amount of mushrooms are toxic to pets and can cause a lot of harm, serious illness, and sometime death. Its always best to avoid mushrooms all together. Mushrooms can be found almost anywhere such as in the lawn, garden, and wooded areas. Its that time of year when mice, rats, and rodents start to look for shelter for the cold winter months ahead. These rodents will be happy anywhere that protects them from the cold weather which typically mean homes, garages, and sheds. Rat poison is one thing many people will use to eliminate these types of pests. Be aware that rat poison could be anywhere. Halloween is a fun time of year for many but can be a huge danger for dogs. With trick or treats around the house it is important to remember that chocolate is very harmful and poisonous to dogs. Halloween chocolate is mostly sugar and would be less harmful with one small piece but the chance your dog eats several chocolate treats could be very harmful. Firecrackers and fireworks create a strong level of anxiety for most dogs as the loud noises can make them very afraid. Try and keep your dog indoors during Halloween night and give them a safe place to lay down. 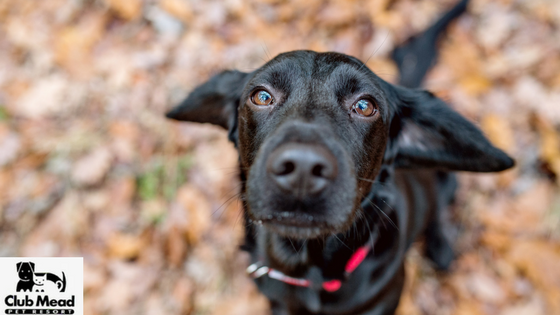 As summer vacation is over, everyone goes back to work and school, the days are getting shorter; your pet may be experience much less time outdoors than they were used to over spring and summer months. Your dog may need the extra exercise so putting them in a dog daycare during the day would help with the extra energy and missed attention. As we all start to make plans for the long weekends and other holidays, make sure you take the time to book well in advance any dog boarding services required. Well planned travel plans means less stress for you and your pet.